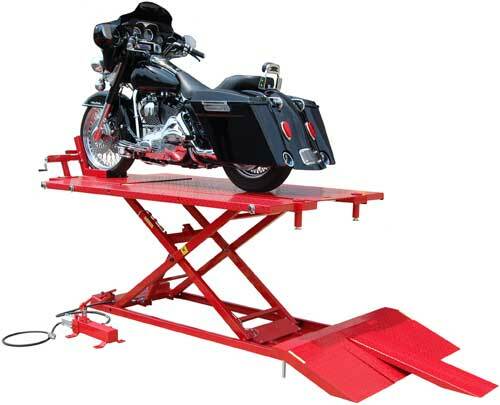 With a solid 12-gauge steel construction and black powder coat finish, this lift is a sturdy piece of equipment that is a great addition to any mechanic's home garage. 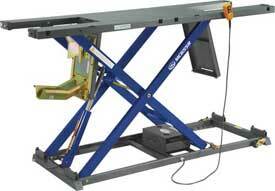 The heavy-duty Titan 1,500 lb. 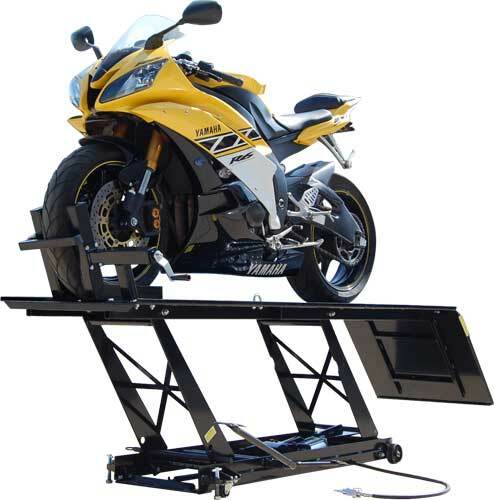 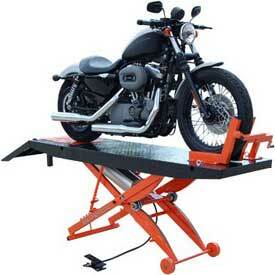 capacity motorcycle lift comes complete with everything you need to help you perform maintenance and repairs on your heavier ATVs, motorcycles and other vehicles.